You’ve been marketing your B2B business on your own for a while now. You’ve tried everything—content marketing, guest posting, social media advertisements, and industry publications. Yet, aside from a few weak leads, you have nothing to show for it. B2B marketing is hard work. It’s one of the most strategic and complex roles within any company, and it’s even more of a challenge for businesses without a dedicated marketing team. 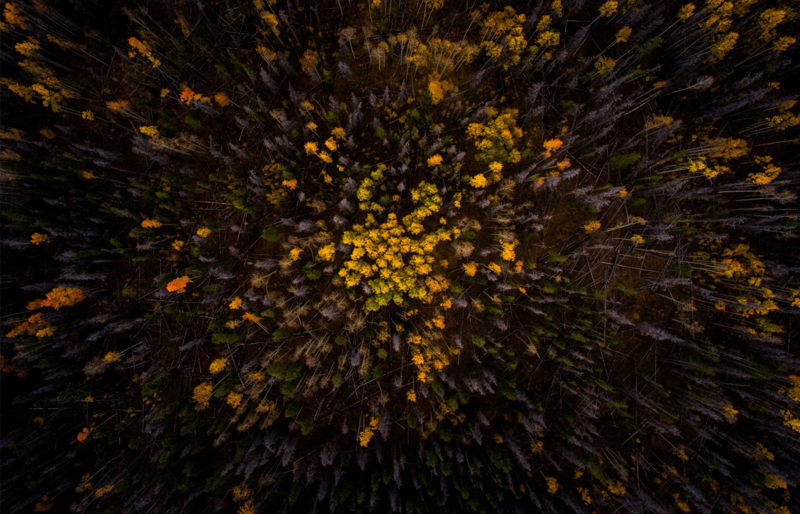 One main reason B2B marketing is becoming more complex is due to the nature of the game. Unlike consumer marketing, business marketing is a long race. The business buying cycles are long and complex. In 2017, 77% of businesses conducted a detailed ROI analysis before making a purchase. Converting visitors into customers takes time. According to the State of Inbound Report from 2017, 63% of marketers claim their biggest challenge today is generating traffic and leads. It’s time to nail down exactly why your marketing strategies aren’t getting your business the results you want. Odds are, you’re making a few mistakes along the way. This is normal and part of the learning process. However, it’s important to make positive changes from these learning experiences. Are you ready to make a change? What is your marketing strategy? If you’re unable to clearly articulate it, that’s a good sign you’re failing to document properly. Documenting your progress and your strategy is more than just busy work. It’s how you know where you’ve been so you can see where you’re going. While a documented strategy won’t magically guarantee success, creating one will effectively move the needle forward in all aspects of your marketing. 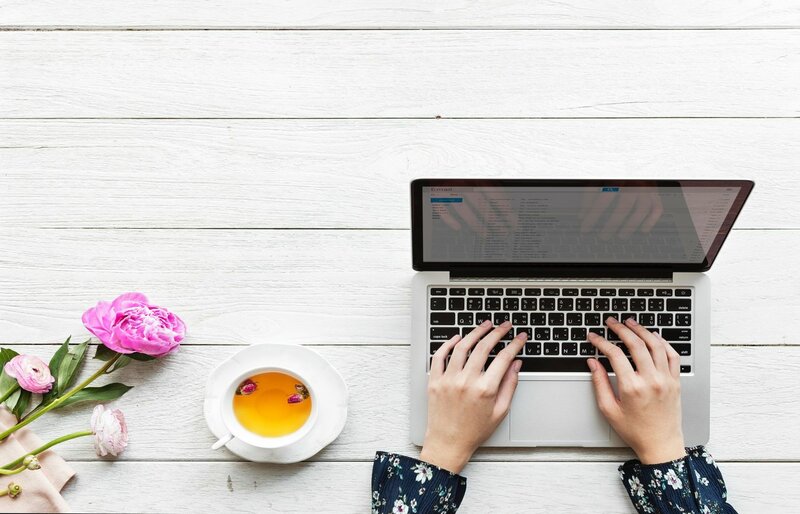 According to HiverHQ, documentation is how “marketers will understand whether or not they’re getting the desired results from their efforts.” In other terms, it’s how to determine if changes need to be made to your company’s marketing strategy. There are 4 main parts of creating a documentation strategy: goals, target audience, plan, and implementation. First, define your SMART goals. Next, identify your target audience, what their pain points are, and how you can help resolve them. From there, what tactics will you use to reach this audience, whether it’s content marketing or video, social media, SEO, etc. Finally, how will you implement these strategies, if at all. Being consistent with your documentation will help you refine your strategy over time. 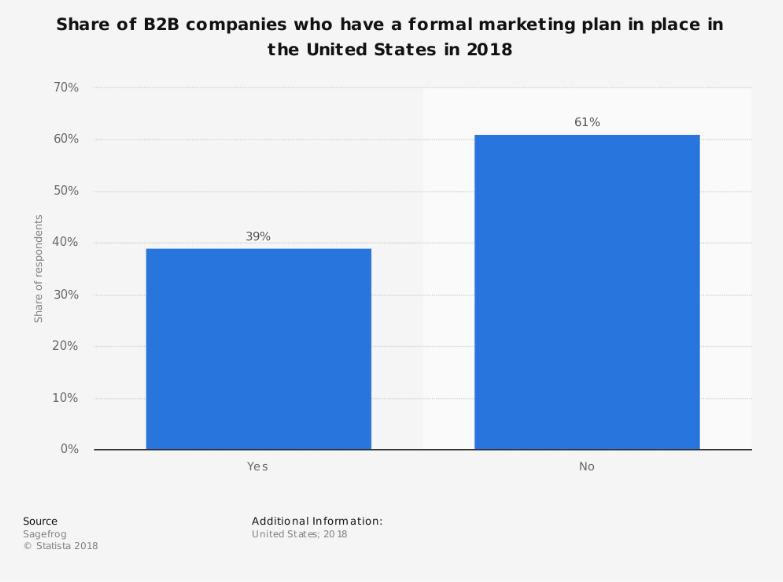 As you can see from the Statista graph below, 61% of all B2B companies in the U.S. had a formal marketing plan in 2018. Let’s make 2019 the year of documentation and strategy. Solution: Create a clear strategy template, complete with a timeline, using the 4 components above. It might seem like busy work, but in reality, you’re streamlining marketing in a way that will pay off over time. Sales Trends - Which of your products or services appeal the most to your target customers? If you’re noticing one service selling more than another, that’s a good sign you should rev up campaigns. Social Conversion Rates - How many businesses are interacting with your social media profiles and advertisements? In general, B2B businesses see more value in platforms like LinkedIn, Facebook, and Twitter, but that might not be true for your business. Content Metrics - Are you effectively marketing your content? How is your traffic? What content is attracting the most clicks and shares? Which keywords work best for your audience? 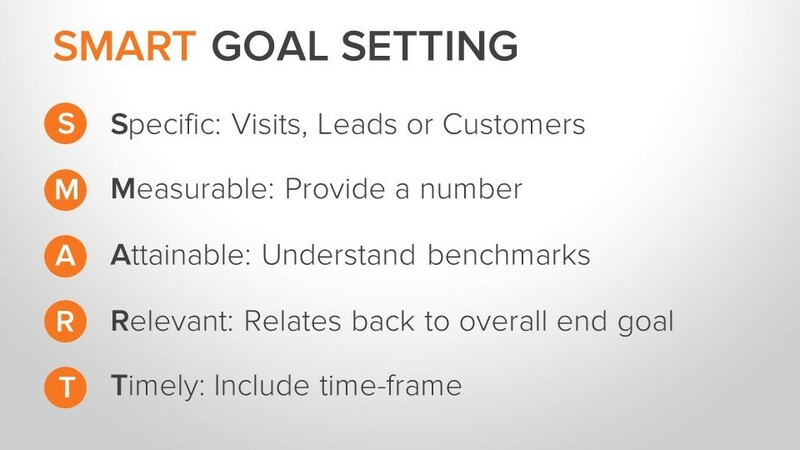 It will take time and effort, but you can’t overlook these metrics if you want to see growth in the future. Solution: Starting today, compile your key metrics for all of your different marketing channels. 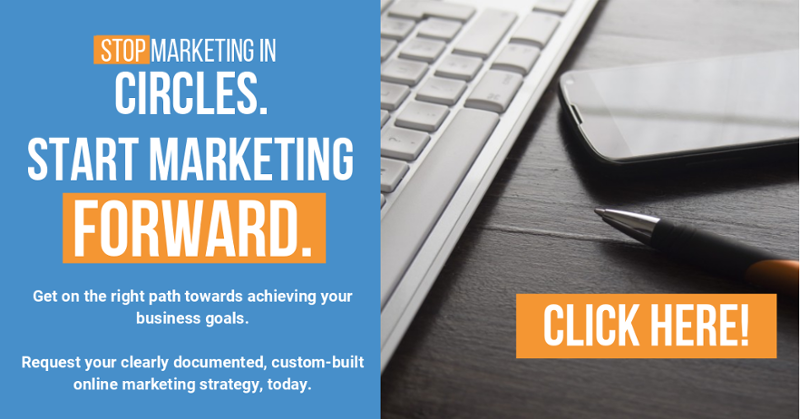 If you’re not sure where to begin, work with a marketing professional to develop a strategy for documenting your success and failures from this point onward. 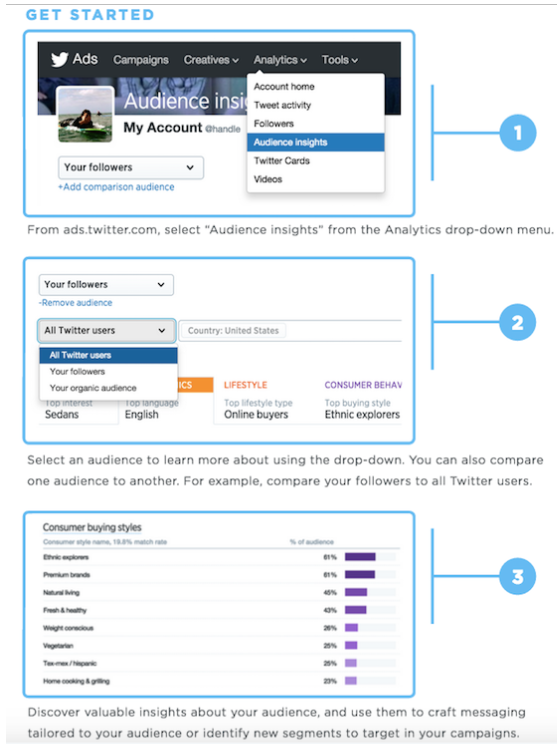 Your social media platforms likely already have these metrics built in, such as Twitter’s Insights below. How well do you know your audience? Each marketing campaign should not treat all audiences the same. The reason the B2B purchasing cycle is so lengthy is that there are so many people involved in the process. Not every company role will respond the same to every campaign. You need to know your audience and their pain points. If you’re targeting HR managers, for instance, you might advertise your company as a way to help employees work in a more streamlined way. In this case, the HR manager’s pain point is that the company's employees are not working efficiently, and this costs the company money. You would not approach this campaign the same as you would if you were marketing to small business owners. How do you get to know your audience better? We live in the age of big data. Learning more about your audience has never been easier. Social media is equipped with a number of tools for analyzing the audience who’s the most active on your profile. 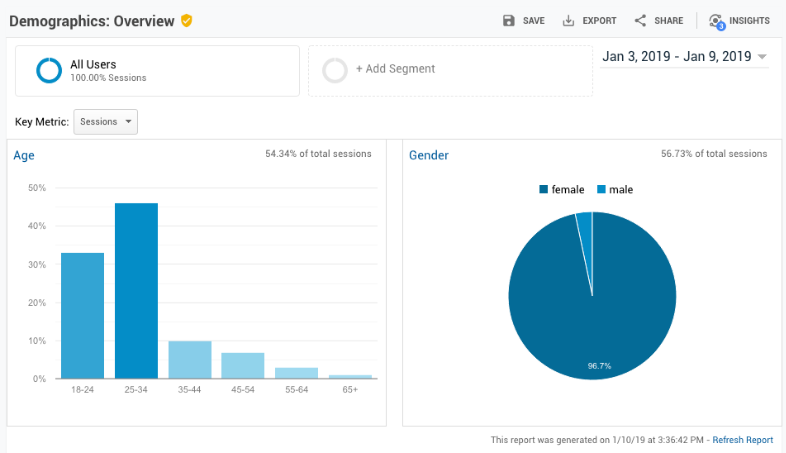 Similarly, Google Analytics will highlight interests, keywords, and other key demographics. Don’t ignore this information. If you’re talking to everyone, nobody is listening. Solution: Dive deep into your marketing metrics. Who is responding to your campaigns? What are their interests? Then, use A/B testing to weed out the best strategy for reaching this audience. You’ll likely find they respond best to certain language or visuals, and this is how you strengthen your efforts. You’re selling to a person. Part of your strategy needs to be uncovering the best person to target your campaign to in your industry. Depending on the product or service you’re trying to sell, you might approach this differently. HR managers are concerned about hiring and record-keeping, for example, while financial services would be better geared towards CFOs or controllers. When creating an inbound marketing strategy, you need to create content that appeals to the right people. Once again using the HR manager example, you would want to write blog posts that attract the attention of key players in HR. That might mean writing SEO optimized posts on the importance of having a hiring software. On the same wavelength, you wouldn’t expect HR managers to click on a blog post about software tools for business owners. See how important targeting the right audience is? Solution: Don’t assume the CEO is the best person to contact about your product or service. Instead, do some digging to see who’s the most likely decision maker for your product or service. Finally, how does your business address their unique pain points? 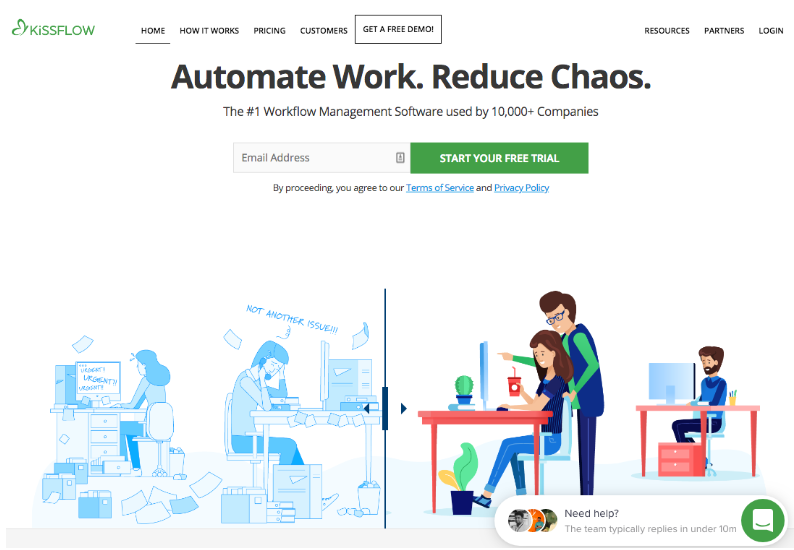 Kissflow, a workflow automation software, identifies it’s top clients as HR and task managers. See how they target these professionals below by highlighting the pain point of reducing chaos. Your marketing needs to be focused. It needs to be driven towards a specific goal using calls to action (CTAs) as well as align specifically with your buyer's journey. That goal might not be to make a sale. In fact, in most cases, it won’t be. As we’ve said, the B2B buyer journey is a long one. Your client should have no question when it comes to what you want them to do next when they encounter your marketing content. Maybe you just want them to click to read a blog post. Perhaps you want them to sign up for your email list. These are real actions, and you only need one of them per piece of marketing content. If you have three different CTAs on a single blog post, that’s not going to get you very far. How will the client know which one to choose? Ask for exactly what you want. Do you want your clients to discover their savings if they switch to your business? Tell them to do that. Do you want them to schedule a follow-up appointment to talk with you directly? Tell them. The more you overcomplicate it with long-winded, confusing CTAs, the more likely you’ll lose the lead. You want to create great marketing campaigns that drive action. It all comes down to knowing the right time to ask according to your buyer’s journey. Solution: First, clearly outline your buyer’s journey, so you know what you want your leads to do and what actions you want them to take. From there, use clear CTAs that define the action you want your clients to complete. Don’t be vague or generic. 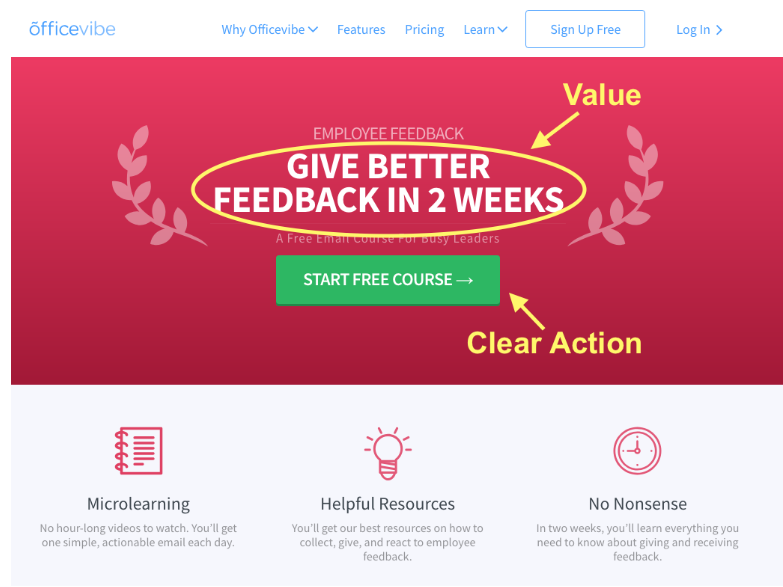 Ask for what you want in a direct, clear way, like OfficeVibe did on their website. There are a lot of potential reasons you don’t see any success with your B2B marketing strategy. The good news is you’re on the right track to turning things around. There is a lot of work involved with finding the right audience, knowing how to create campaigns that click with this audience, and driving action. The most important aspect of all of these mistakes above is that you can’t settle. Marketing moves fast nowadays. If you’re not moving forward, you’re not moving at all. Are you ready to kick it into high gear? If you answered “yes” (and I hope you did), contact KeyScouts today to request your company’s documented online marketing strategy.